Today is Pinterest Day for the Babywise Friendly Blog Network and we're all sharing on the topic of childcare. Follow us on Pinterest for more great tips, or check out the posts from the other ladies directly on their blogs. I got my first nanny job at the age of 19. I was supposed to temporarily take over the job for a girl in my sorority house, but I ended up being the nanny for that family off and on for nearly a decade! That first nanny job paved the way for many other side babysitting and nanny jobs over the years. At this point, I've nannied consistently for four families and done short-term nanny or babysitting for dozens of families. 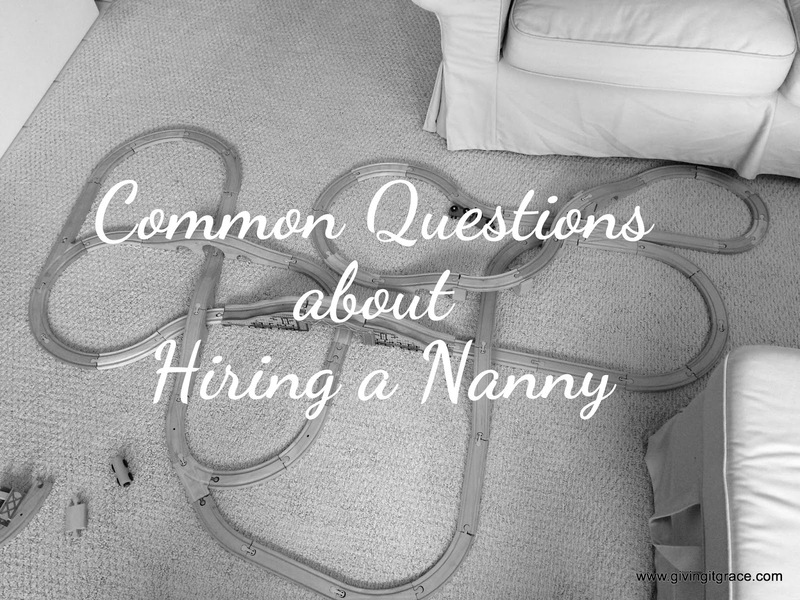 Due to my experience, I frequently get asked questions from my friends looking to hire a nanny (and friends looking to start nannying). The questions below should cover most of the basics, but please leave me comment if there is something I can try to answer for you that's not already covered. Unless you are using a service, my best recommendation is to find someone through your social networks. Unlike when you hire a gardener or cleaner, a nanny is someone whom you invite in to your home to be an extension of your family. Accordingly, it usually works out best when you have some type of pre-existing connection to them. This really depends on the age of your child(ren) and your comfort level. A potential nanny can have very little hands-on experience and still be a good nanny if she is able and willing to learn quickly. It's not all that difficult to take care of the physical needs of children; what is taxing is their emotional and mental needs. You can teach skills, but it's harder to teach patience and intuition. What the difference between a babysitter and a nanny? This may vary geographically, but in our area (greater Seattle area), but "babysitter" generally means someone who watches your child(ren) for a few hours on occasion (usually in the evening). "Nanny" generally means someone who watches your child(ren) on a repeating basis during the day, and can also do additional tasks around the house (clean up dishes, fold laundry, etc). 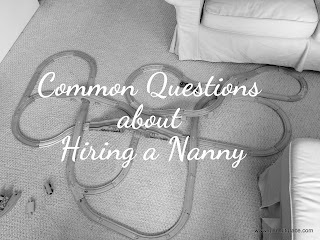 What is the nanny's job? Aside from caring after your child(ren), whatever you decide! It is not unreasonable to ask the nanny to clean up after a meal, fold and/or put away a pile of laundry, or tidy up a playroom. Anything beyond normal-keeping-up-with-the-children tasks can start to become more appropriate for a house cleaner. If you want your nanny to vacuum, clean bathrooms, dust, etc - you need to pay her accordingly. Should we expect the nanny to adhere to our parenting? YES! The goal of a desirable nanny should be to come alongside your family and mirror your parenting choices to the best of their ability. The combined goal of the nanny and the parents should be to create a seamless experience for the child(ren) in terms of behavior expectations, routine, and moral teaching. What if the child will be asleep most of the time? If the nanny is changing diapers or assisting with bathroom use, those both cancel out any "break" she is getting by having down time. Pay her as normal. Should I do a nanny share? A nanny share is when two families share the same nanny. 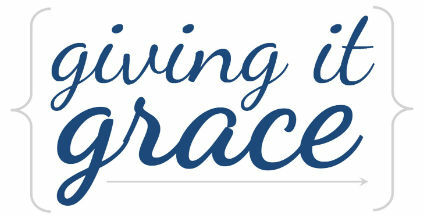 This is financially advantageous for everyone involved. The two families generally split the cost of paying the nanny; the nanny makes more money (more kids = more money!) and the families both get a nanny without each paying full price for her time. Should I do my house or her house? This is completely personal preference. The main thing two things to consider are: is her house safe (environment, location, people) and does she have age appropriate gear and toys. What if she has her own kids, too? This can be a great way to get your child some socialization, and is even better if you are friends with the nanny and her children outside of your childcare arrangement. Making this situation work depends on the ages and abilities of the children, and what the nanny can handle. My only personal rule on this is I don't do more than one child that can't walk, simply because it's too much to carry two non-walkers and help a toddler up the stairs or out the door. What if I will be at home while she is there? Don't be home while the nanny is there. Being at home with the nanny there is incredibly uncomfortable for the nanny (unless you are close friends, but even then it's still borderline awkward). It's also confusing for the children - who is in charge? If you are uncomfortable with leaving your children with the nanny - solve that problem by finding a nanny you trust. Do I need to provide food for her? Kind of. You're probably hiring a nanny because you're working outside the home, so the last thing you need on your to-do list is "make lunch for the nanny". Don't worry about making her meals to eat at your house, but do have snack food on hand and invite her to it. Who decides what to pay the nanny? You can decide together, or you can set a rate and look for a nanny to agree to it without discussion. How do we decide a fair rate? What about paying per day instead of per hour? This is a great idea for regular, consistent childcare. My rule of thumb is usually anything over 5 hours should be paid by a daily rate, unless the family or nanny prefers otherwise. To figure out a fair daily rate, I suggest taking the average amount of hours a day and multiply that number by the hourly rate and then round down just a little.